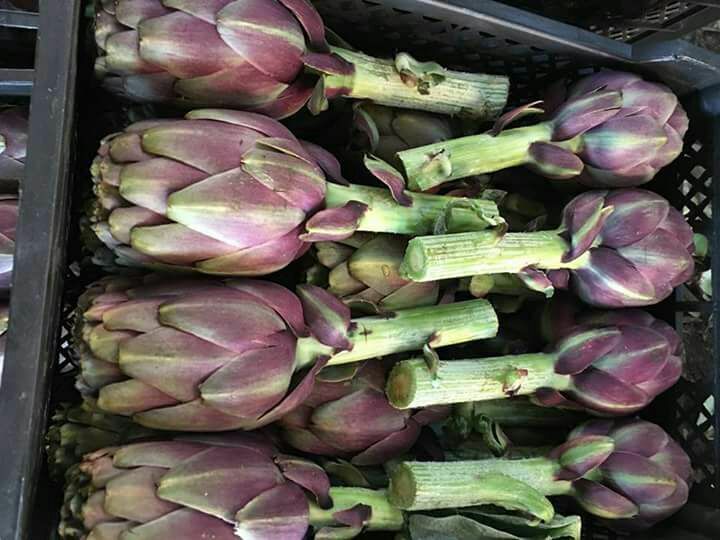 We are the biggest Artichokes growers. 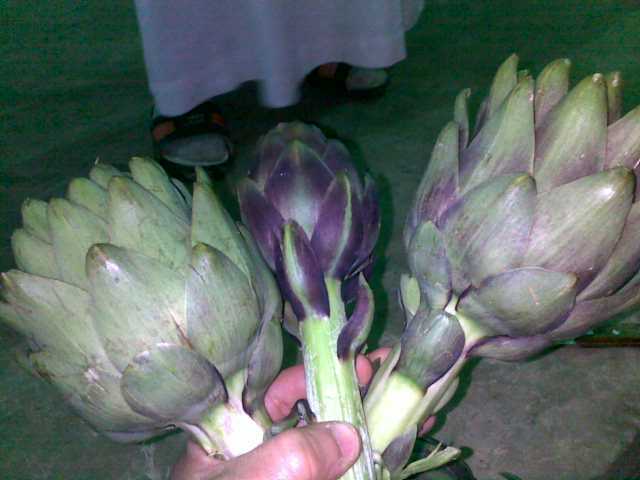 Our mechanized packing plant is located in the middle of the only area in Egypt producing Artichokes. 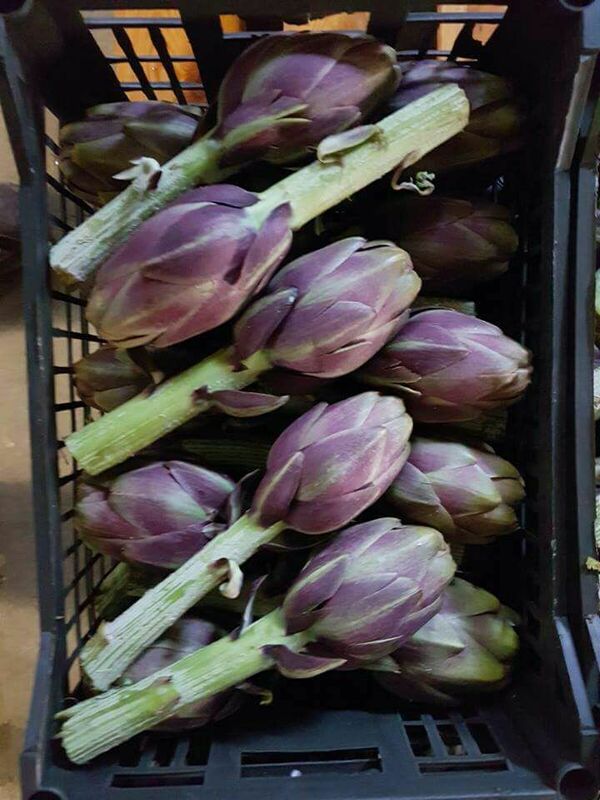 We export Artichokes only from farms and contracted farmers to insure purity of the variety, highest quality and guarantee freshness. 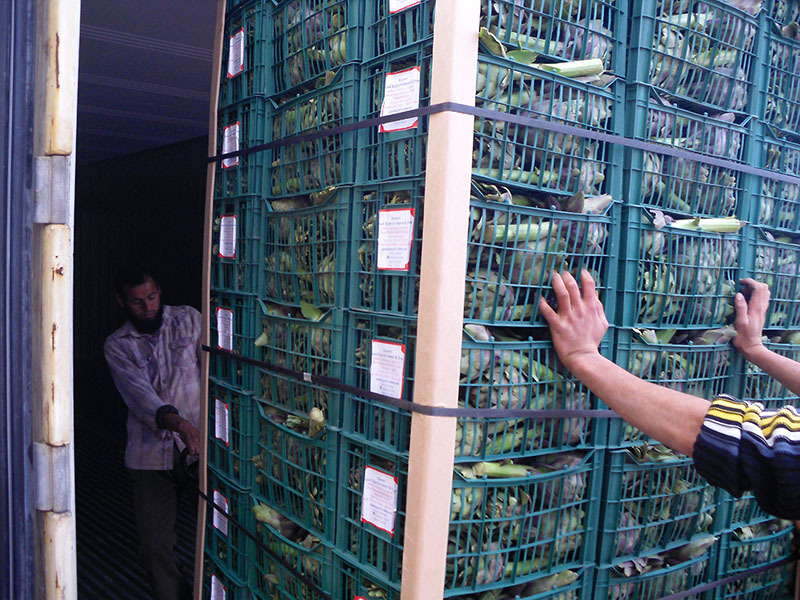 Early crop in November is only available from our packing plant. 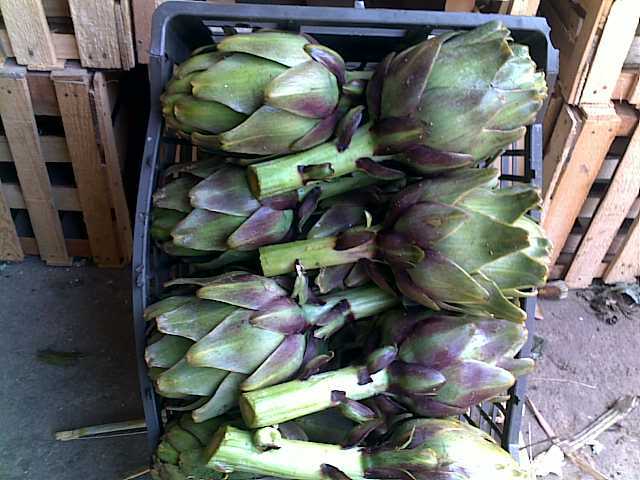 Our fresh Artichokes for export are characterized by their freshness, long shelf life and highest quality. The violet color over the green leaves. 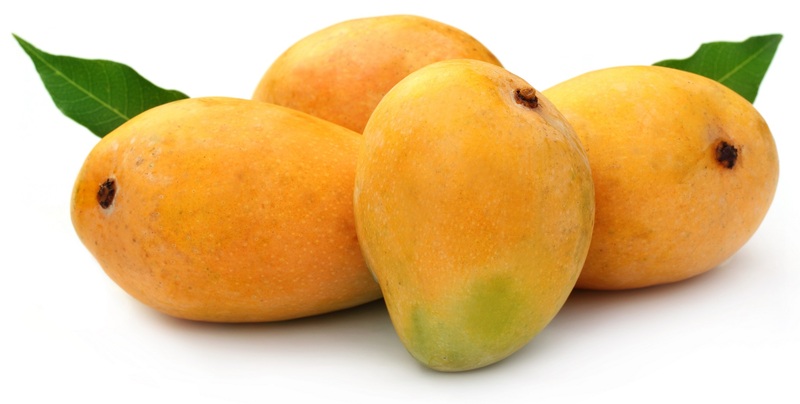 The shape of the fruit bottom is conical. In our farms, we constantly introduce newtechnologies with the help of specialized laboratories and qualified scientists and agronomists. 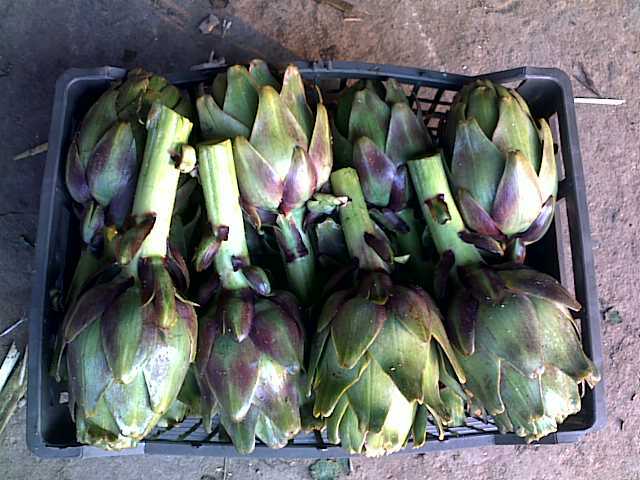 New selected Artichokes plants which give bigger production and better quality. Growning techniques that give earlier crops. New planting techniques starting from shoots, seeds and tissue culture. 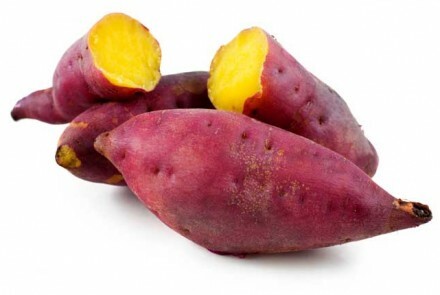 Preservation of the characteristics of the precious violet Artichokes. 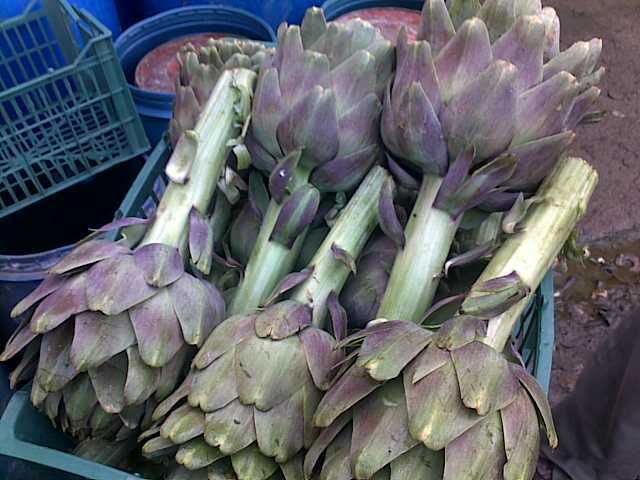 The fully grown Artichoke plant is about 120 cm high with a lot of big leaves of about 100 cm long each. One plant could carry up to 5 piece with different sizes at the same time. When a piece is picked, more will come. Depending on the packing orders, the piece with adequate size are picked. Smaller piece are left on the plant to be picked later when they reach the desired size. 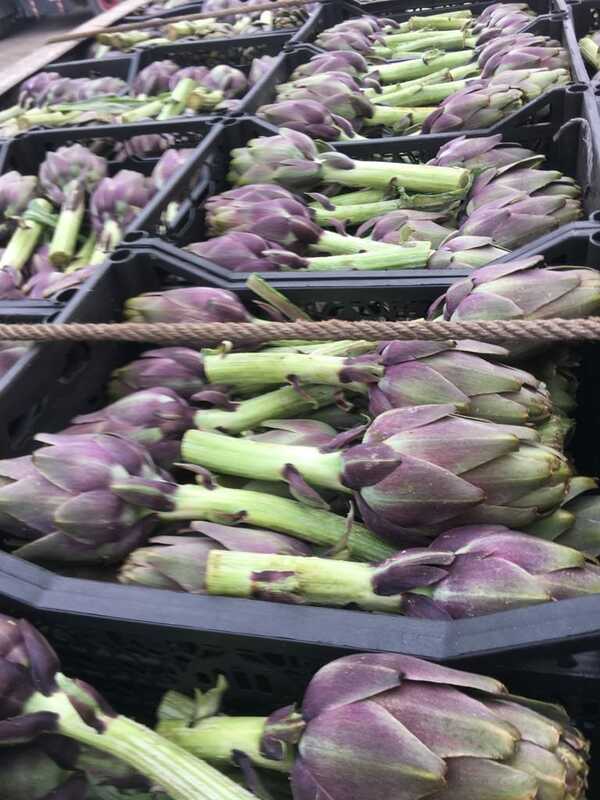 The Artichokes are carefully picked from the farms with along with some fresh plant leaves. 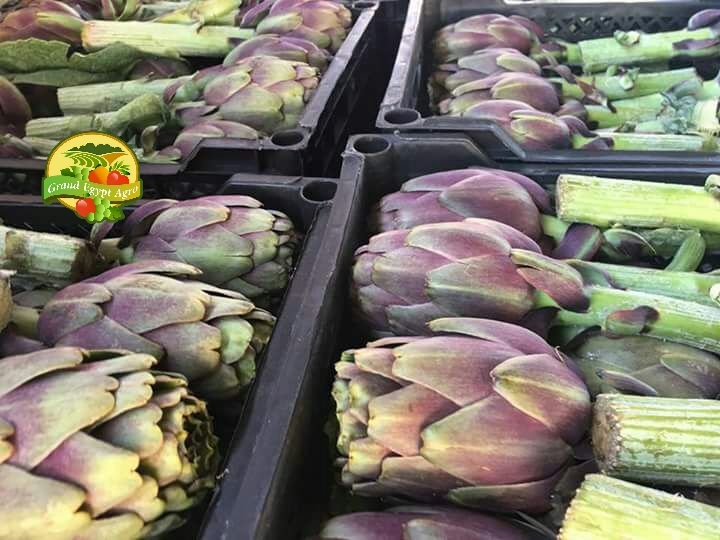 This insures the freshness of the Artichokes during transportation. 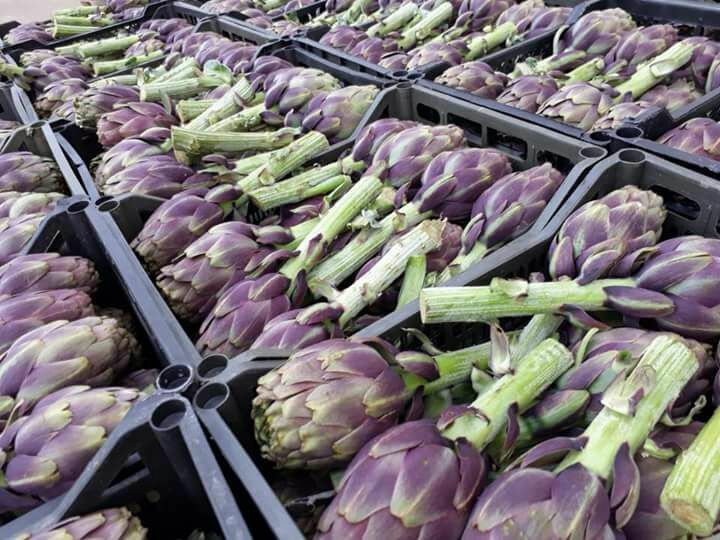 We have a state of the art custom built packing plant for Artichokes. All this has to be done within 1 hour from the picking time. The following are the details of the main steps of packing. This stage is done on special conveyors for inspection of the piece quality. Lower grade piece are sorted out and go to our processing plant. Air packing: In carton boxes. -- Sea Packing: In plastic boxes. Pallet carry 100 boxes. 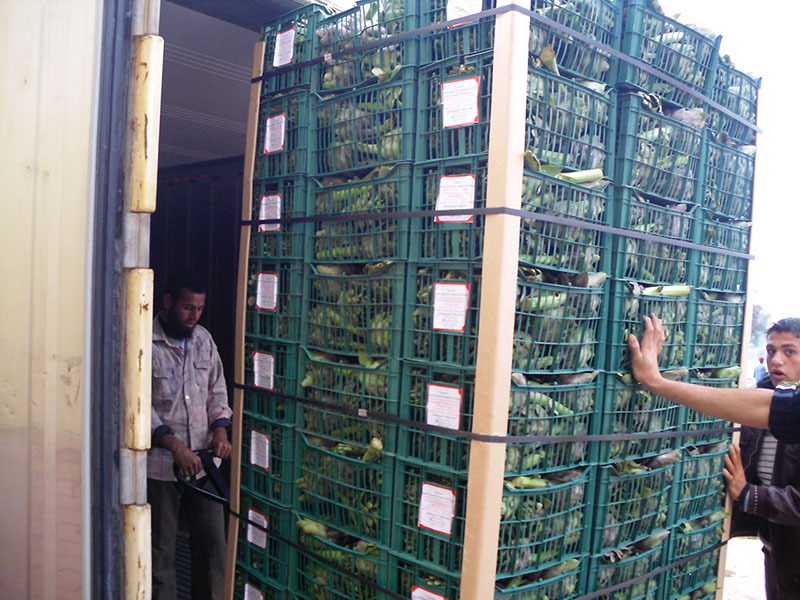 The container is loaded at the end of the same packing day. 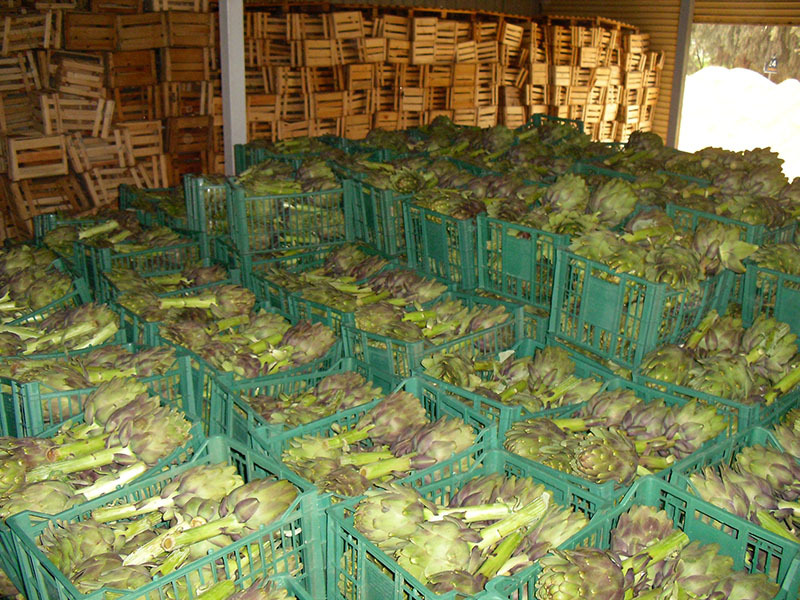 Artichokes pallets after being pre-cooled and kept in the store along the day, are stuffed 20 pallets per container. We synchronize the picking, packing, land transport and port work to be less than 6 hours from the sailing time of the vessel.